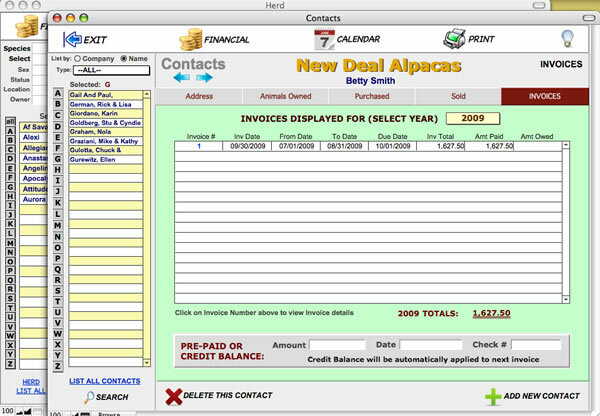 AlpacaEASE/HerdEASE is the top selling software for alpaca breeders. 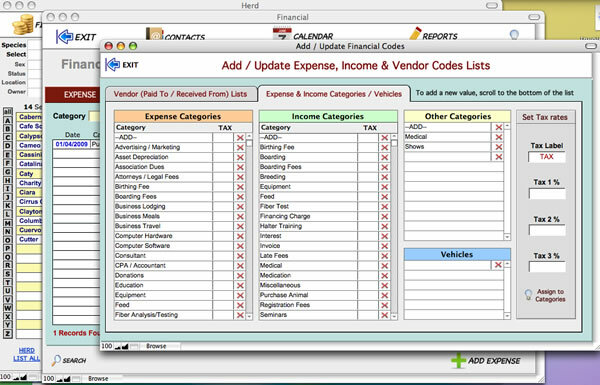 Download your free 30-day trial TODAY! We encourage you to take advantage of our free trial period for AlpacaEASE/HerdEASE. 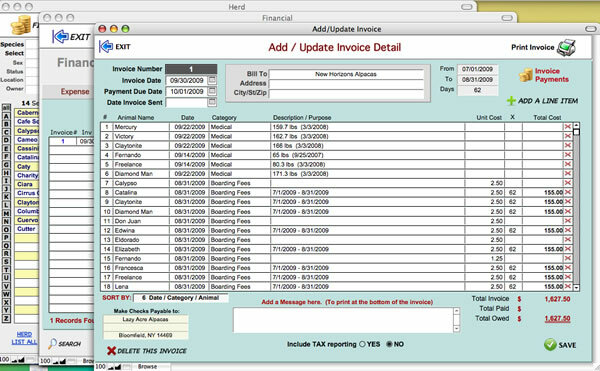 There is no better way to be sure it will work for you, and it insures happy clients for us! 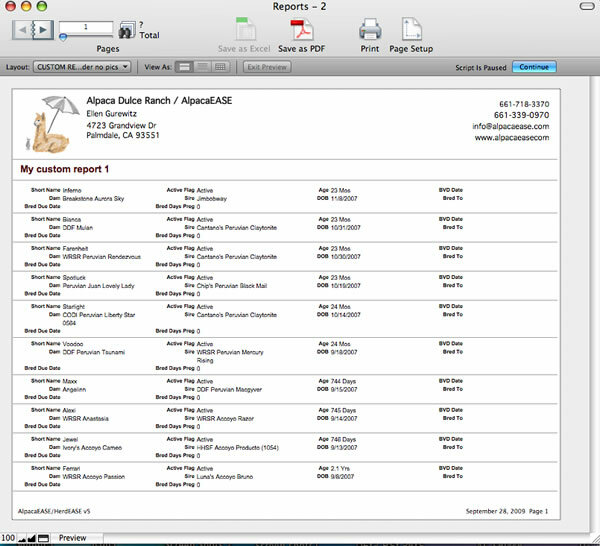 Includes the AE Mobile app for running AlpacaEASE on an iPad!! 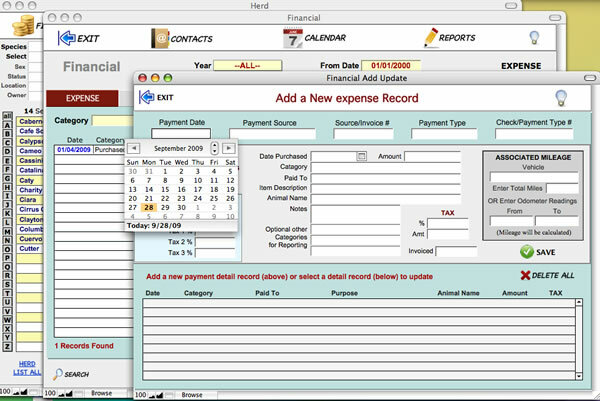 Easy to enter and maintain all your Herd/Animal data (ancestry, medical, breeding, fiber, shows, scheduled procedures); Contacts data; Financial data (expense, income, mileage and invoicing); Calendar reminders; and MORE!! Use the Animals of Interest screen to track animals you may be interested in for future breedings or purchase. 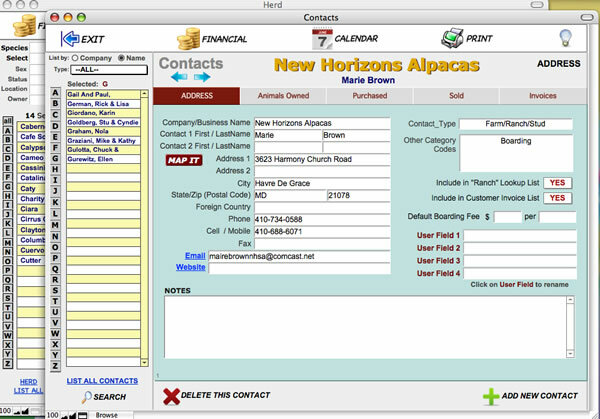 Animal and contact information can be manually entered, or extracted directly from your AlpacaNation or OpenHerd searches! New "Dynamic" Group option that automatically retrieves the current animals for the criteria saved each time you select that group! 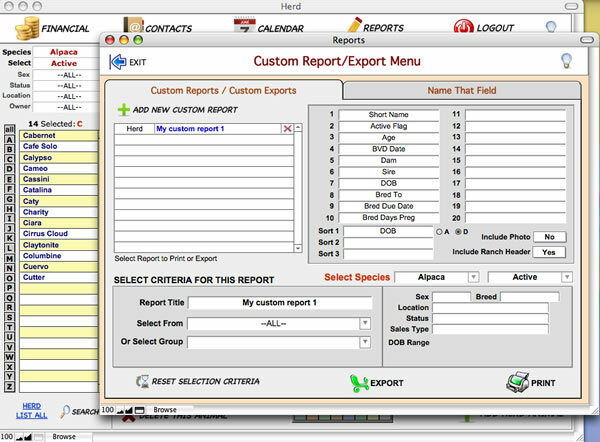 Many reports can be run directly from the animal's Herd screen; or go to the "Reports Module" for a full selection of animal-specific & generic reports; you can even create your own Custom reports! 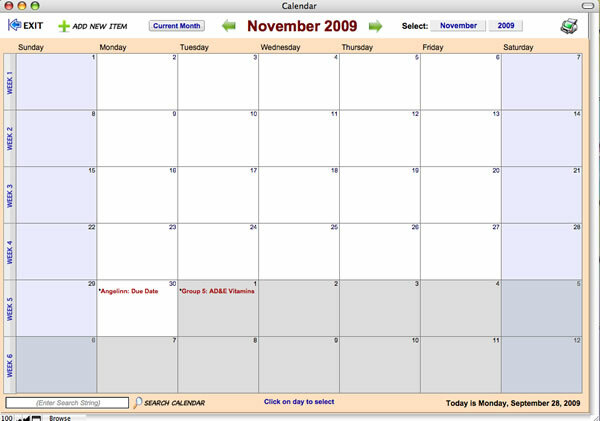 Import and Export Calendar and Reminders between AlpacaEASE and your iCal & Google calendars! 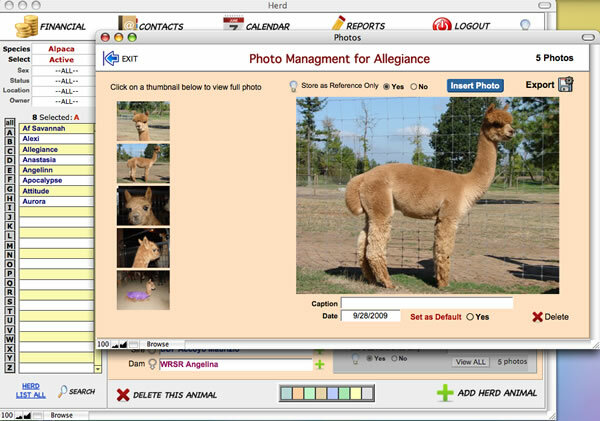 Our unique "Web Export" feature even creates web-ready pages to display all your animal records on your website; no more forms to fill out or photos to upload...AlpacaEASE/HerdEASE does it all! !